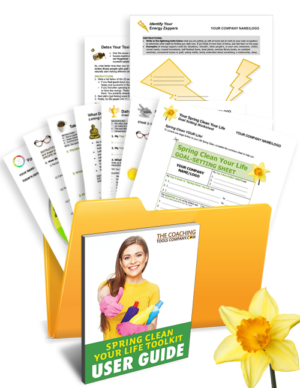 There is pure luck, and then there is the luck we CREATE for ourselves - by being clear on what we want, working hard, sticking to it, helping others - and more! 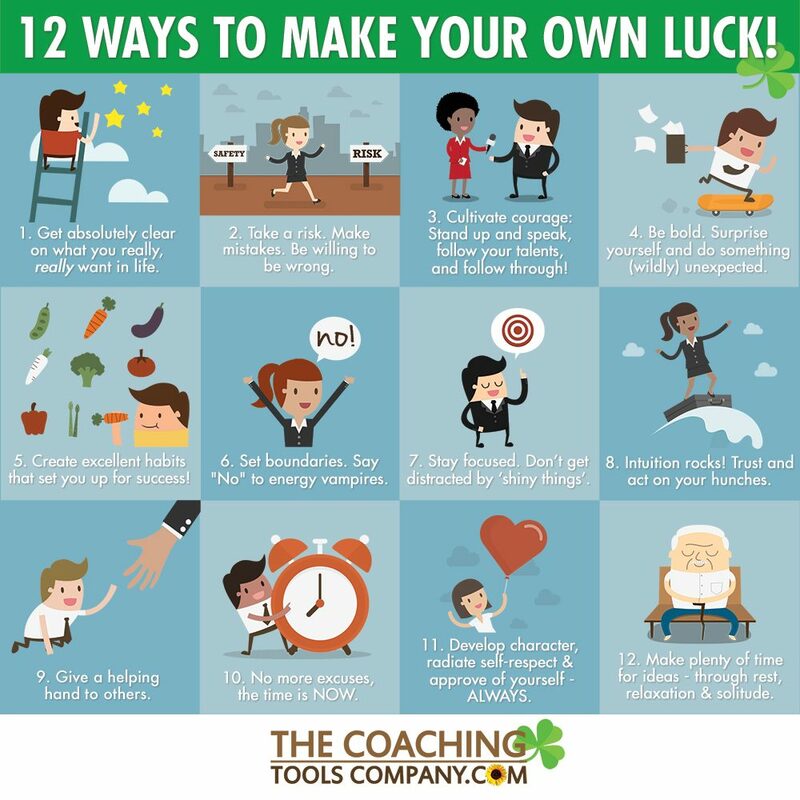 We thought you might like this brand new infographic - with twelve ways to create your own luck! We hope you LOVE this infographic as much as we do. 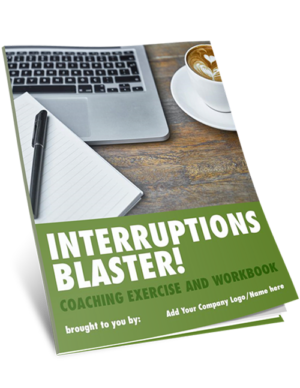 Grab it below & share! And following feedback, we also created a tall version for people on their cell or mobile phones (simply scroll down the page). NOTE: Want to share JUST the infographic (and not the whole article)? Right-click (or Ctrl+Click on a Mac) to save the full-size infographic below to your device, then simply share the saved infographic direct from your device. 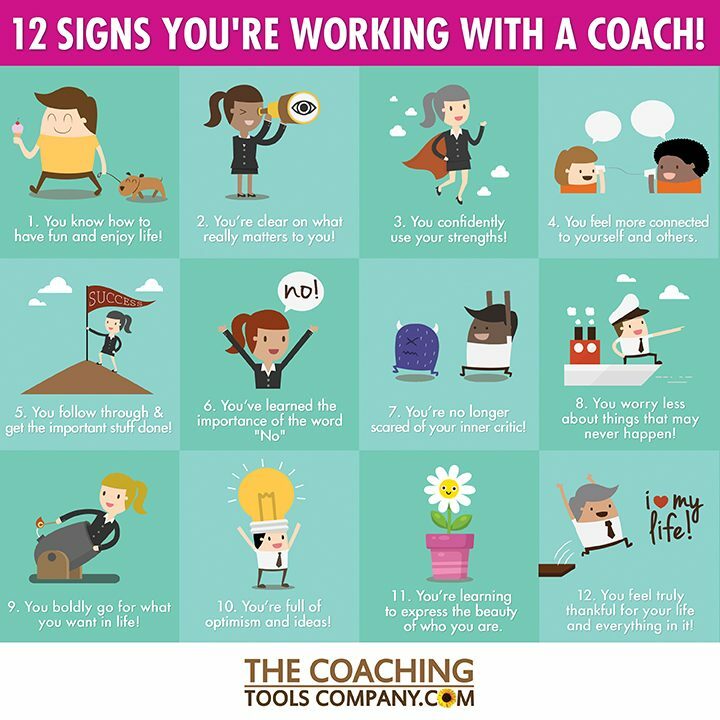 Our popular graphic to share "Inside the Heart of a Coach"
Our Infographic: 12 Inspiring Signs You're Working With a Coach! 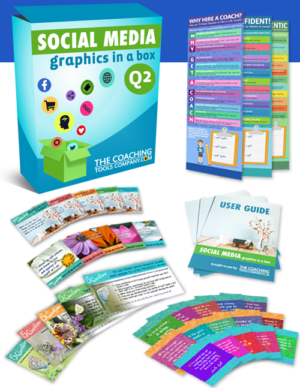 Hi K, our graphics and infographics are in .jpg format - which you can use on social media etc. 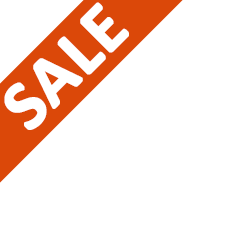 If you really want it as a .pdf, you can take the .jpg and save it as a .pdf file. Awesome. Love it. Thanks for the ideas, tips. Love it. Thanks a mil for all this free stuff, i find it very useful. Cheers. Thank you for your generosity and all that you share.